Katie and I are driving back home from the mall. It’s getting late, but the midsummer days are still long and the light lingers far later than it soon will. 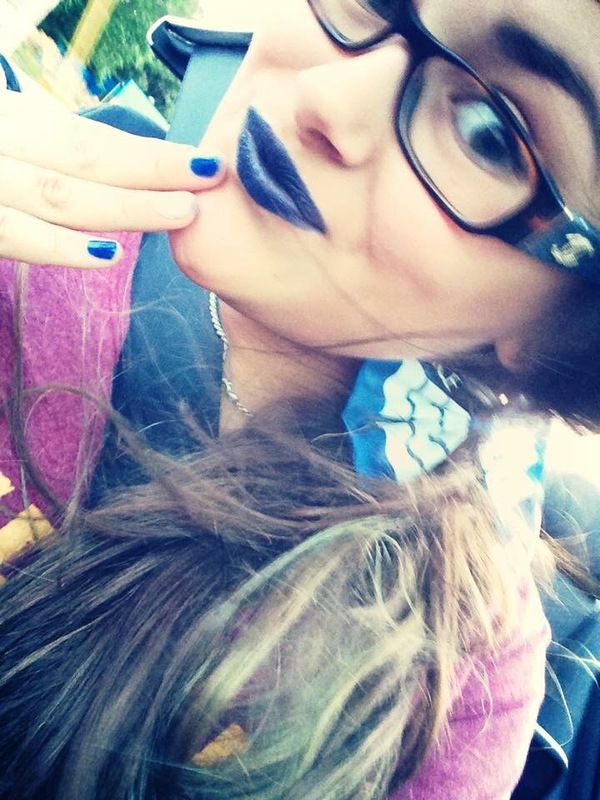 I chuckle as she snaps a selfie for a friend, showing off the TARDIS-blue lips and nails that will accessorize her dress for Comic Con in a couple of days. I ask her to send me the snap. She promises me she will. She turns the radio up and dances in her seat. Nah, nah honey I’m good, I could have another but I probably shouldn’t. One of us is on key. She’s nice enough not to comment. I’ve got somebody at home and if I stay I might not leave alone. I gotta bid you adieu, to another I will stay true. I note my pride in knowing the lyrics well enough to sing along. I realize that said pride is a sure sign that I am, officially, no longer cool. I glance at my girl, her long, thick hair dancing in the wind as she belts the chorus, and decide that I’m good with that. Cool is no longer the point. If it ever was. As I reach for my iced tea from the cup holder, the straw snaps. The air whistles through it when I take a sip. As I watch the road, I catch her silently swapping them out of the corner of my eye. She dances in her seat. “I’m glad you’re my mom,” she says. I smile. “I’m glad you’re my kid,” I say. I sip my tea from an unbroken straw. And wonder how the hell I got so lucky. COMPLETELY off topic here but Just saw his and of course i thought of Katie! It’s a link to Buzzfeed ” My Night at Londons Hary Potter Hotel” Seriously SO cool! I just saw this and thought of Katie.